Calling all awesome people! 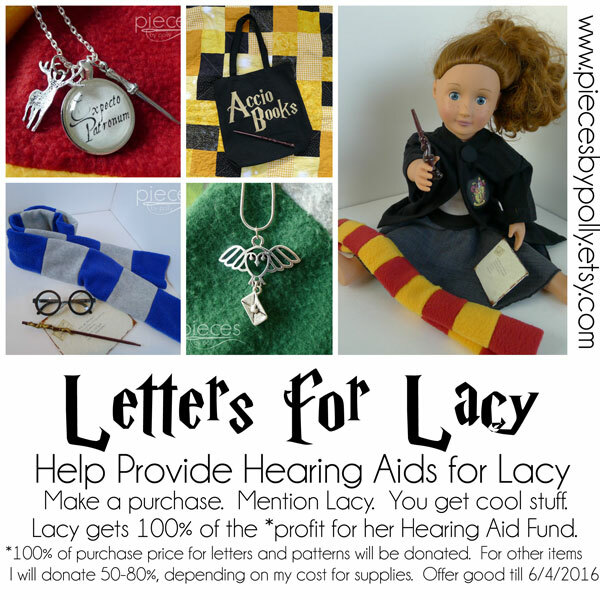 Here's an easy way you to send a Hogwarts Letter to someone in your life who would LOVE one and have 100% of your purchase price donated so a really deserving mom can get the hearing aids she needs. YOU can help me make a difference in a family's life. Meet Lacy. She is a daughter, a wife, a sister, and a mother to two incredible boys. Lacy also has Ehlors Danlos syndrome which causes ALL of her joints to be extremely loose. Recently her two boys have also been diagnosed with the genetic disorder, and Lacy's disease has recently made hearing very difficult. BUT the good news is HEARING AIDS CAN HELP her hear her boys again. You can read more about Lacy on the Go Fund Me page her friend Meggan has set up and you can donate directly there. 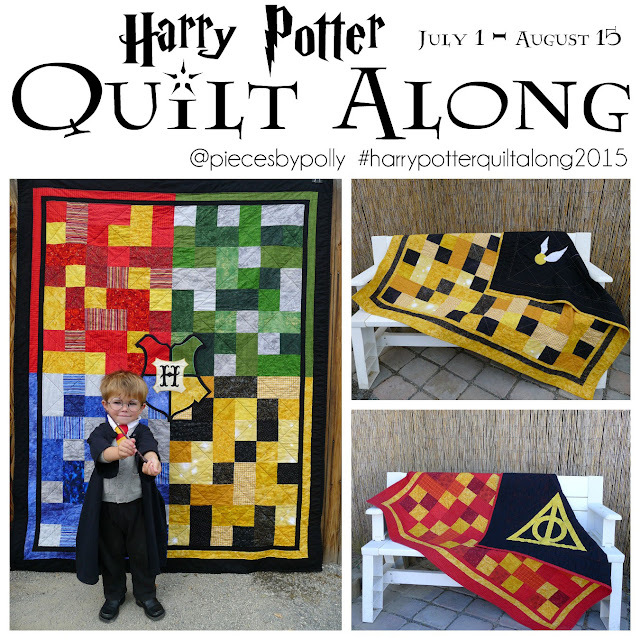 I'm calling it Letters for Lacy because Hogwarts Letters are my top selling item and 100% of the purchase price will be donated for letters ordered. 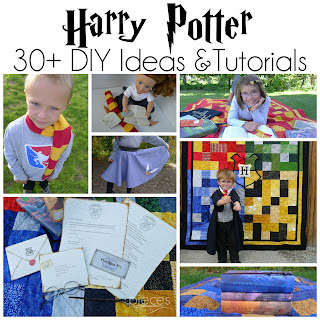 For the other cool Hogwarts goodies I sell, I'll donate the complete profit minus my cost for supplies which is 50-80% for most items. 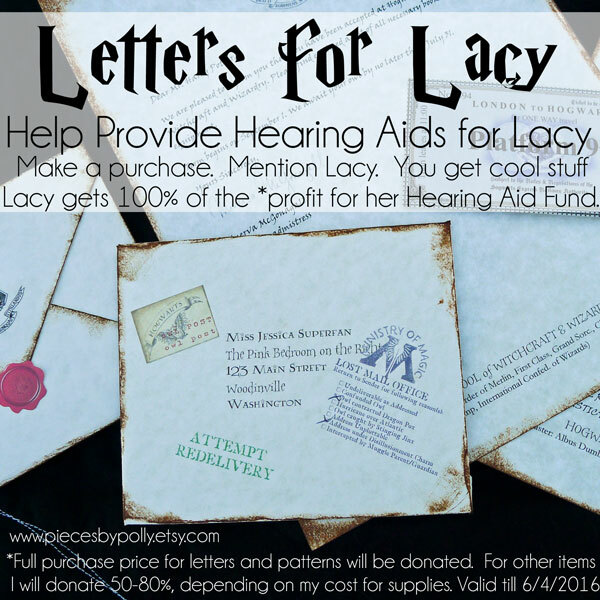 I'm not making any money on this...just trying to provide a way that YOU can get awesome stuff and LACY can get her hearing aids. And if that's not enough, for even more chances to get your hands on some awesome stuff, You Are Loved Designs is organizing awesome giveaways that you can enter by donating. Go to You Are Loved Designs Facebook page for more info.